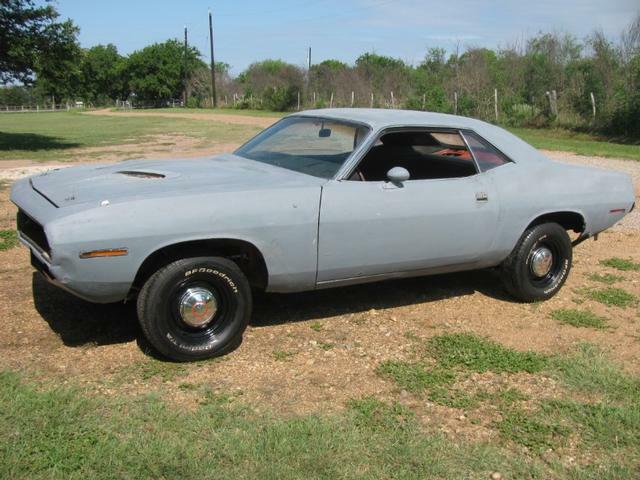 1970 real BS N code 4-speed ’Cuda. this is a rolling project car needing full restoration. The frame rails are solid, needing mostly outside body work. These parts can be purchased easy. Selling at 17500. call for details. The price will change upon work done. These real cudas are getting harder to get every day especially with solid frames, cowl, etc. All the body work needed is replacement panels everything else, the hard stuff is very solid.